Consultix has the most comprehensive portfolio in the industry for IBS / DAS testing and design tools. Consultix unique solutions cover the entire IBS/DAS project life cycle end to end; From design and verification, installation testing & commissioning all the way to long-term maintenance, optimization and monitoring solutions. CW Test Kits for Model Tuning/Model Calibration: Walk-Test tools for precise coverage planning and model tuning to guarantee that your design meets the desired coverage, quality and throughput performance after implementation. Consultix MTM is the world’s most compact sweep tester for Cables & Antennas in the field. Designed specifically for the IBS/DAS environment. IBS Design Optimization: Expert Design Audit/Professional Design services for challenging sites: Airports, Stadiums, MIMO LTE Throughput estimations. Network Monitoring & Baseline Measurements: Solutions for quick and easy signal/network quality measurement in the field for baseline and benchmarking measurements on the go. Consultix CellWizard™ CW transmitters product line is particularly designed for multi-band field applications such as Indoor Model Calibration/Verification, DAS Commissioning/injection, or Walk-Testing. The Transmitters are engineered from the ground up with IBS/DAS applications in mind. The transmitters are designed to achieve +20 dBm output power, simultaneous multi-port operation, and wide-band frequency range. 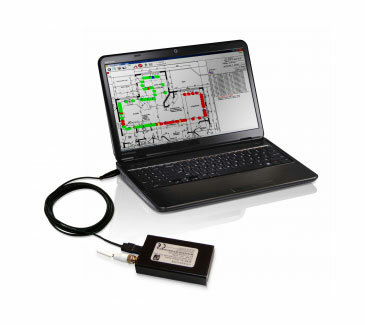 All without sacrificing portability, Battery-operation or accuracy to allow site survey engineer to complete all required CW tests on all frequency channels and cover all test points in the venue within a very short time. The wide-band frequency operation allows a single device to be used for all bands & technologies from 150 MHz up to 4 GHz, eliminating the need to purchase and carry multiple transmitters to the site. The Consultix illuminator™ is engineered to be the new standard for test transmitters for next-generation telecom applications. Its ultra-portable handheld form factor and innovative touch interface for maximum ease of use make the illuminator™ a convenient choice for field applications such as DAS & Small Cells radio planning and testing. These features combined with the Wideband operation up to 6 GHz and power range up to +40 dBm allow the illuminator™ to address all your needs of CW & Modulated test transmitters over licensed & unlicensed bands. Ease of use and compatibility with common drive test tools make it easy to integrate within operators’ (or third party) field activities for faster, more efficient Small-Cell rollout process. The Safari™ High-Power CW transmitter is particularly engineered for field applications such as Outdoor Model Calibration, DAS Commissioning/Injection, Walk-Testing as well as Path model tuning, thanks to its broad range of power amplifiers. Configured with the user’s choice from single, dual or quad port models for full flexibility with the widest mix of amplifiers in the market from 5 Watts up to 50 Watts covering most wireless bands from 140 MHz up to 5.8 GHz. Consultix Pocket-size CellWizard™ CW Receivers are the ideal tool for Indoor/Outdoor Model Calibration, Coverage Verification, Walk-Test, and DAS Injection tests. 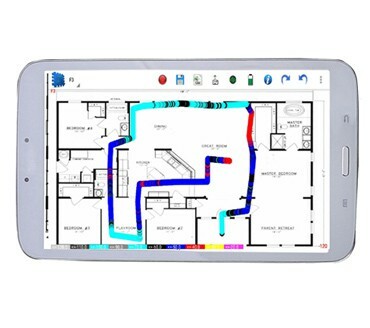 The Battery-operated CellWizard™ CW Receiver along with the WalkView PC/Android App allow you to conduct all the measurements, geo-tag or map them to the floor plan, generate a quick coverage plot or export them to your radio design software of choice, all from the comfort of your tablet. Featuring Multi-channel frequency scanning at the same time, Multi-port models, and up to 3.9 GHz operation. WalkView™ is a comprehensive, efficient and simple-to-use data acquisition software tool that turns the receiver together with a PC or tablet into a fully-fledged walk-test or a drive-test system that draws measurements, provide complete archiving of results and present it into different meaningful forms exportable to CSV format for further manipulation or representation in tools such as Map Info or iBwave…. etc. The software imports almost any format of layouts; BMP, JPG, PNG, …etc., or Google Maps for outdoor tests. The tool allows a simple archiving and categorization of different projects, divided into different sites, submissions, down to sessions. DASMaster™ is a new class of products that are engineered from the ground up to cover the needs of DAS teams End-to-End. Combining versatility, performance, and usability required for each phase of the DAS project, the compact handheld unit is a field convenient pouch that provides RF surveyors, designers and installation/commissioning teams with a sweep tester, CW receiver and spectrum analyzer in a single lightweight shock-protected device. Only the DASMaster™ can match the requirements of the In-Building Market and technology trends; Performing measurements across different test domains by replacing multiple costly and cumbersome tools while it has the ergonomics and speed required for massive testing as well as the size/weight needed for indoor and above-ceiling installation and measurements. The SiteWizard™ MTM-427 is Consultix’ next generation of ultra-portable field test equipment, The SiteWizard™ is the first Cable and Antenna Analyzer in its class to feature both quick and precise sweep testing along with a spectrum analyzer and channel power meter option all in a lightweight shock-protected unit that covers a frequency range from 100 to 3200 MHz to cover most of the wireless bands. The SiteWizard™ is engineered for maximum convenience in the field without sacrificing precision and accuracy. It’s a tool you can use everywhere, from commissioning to acceptance and during troubleshooting defects or spotting potential failures during regular service and maintenance. The WaVue-4 handheld spectrum analyzer addresses the needs and features required for field spectrum measurements and interference analysis applications with a frequency range from 400 to 4000 MHZ covering most of the wireless bands, spectrogram waterfall display, multi-tracing, proportional beep for interference hunting, minimum hold function, and data logging. Consultix WaVue-4 is a tool that is engineered for field use and takes into consideration the different use-cases and conditions associated with this mission. The need for reliable communication inside commercial venues, offices and residential buildings is always increasing for business and personal demands. Distributed Antenna System (DAS) has become as vital to a building as water or electricity. Also, 5G, IOT, and public safety will require high-performance and reliable in-building connection. Since no two DAS installations are the same, radio propagation in indoor environment differs greatly from the outdoor one, not just because of wall losses but also due to the close proximity of reflecting structures (walls, floors …etc.) which introduce a different fading profile; all are resulting in a totally different RF behavior that varies greatly even from one place to another within the same building (if not within the same room). Indoor model calibration is a key part of the site survey during the design phase to show the effect of construction materials and reveal complex propagation mechanisms. In many cases, indoor model calibration is the preferable method to overcome uncertainties of prediction/planning tool. Indoor model calibration with CW test will result in a good selected and constructed network infrastructure and eliminates hand over failures, lost capacity, network rip, and network replacement. Wireless communication became an integral part of modern society. 5G, combined with the blooming Internet of Things (IoT) devices, will raise the stakes even higher. Also, regulatory agencies are requiring venue owners to improve public safety networks. DAS networks require multi-phase testing for successful deployment; starting from the design phase passing through installation and commissioning and reaching out the on-air acceptance phase. DAS commissioning/Injection is the most critical phase during deployment and rollout as the entire system has to be validated and optimized at different installation stages before the system goes live. For a DAS to be properly commissioned, its infrastructure must be trouble free, parameters have to be tuned and coverage has to be validated. Small Cells are set to dominate the telecom landscape. They assist the macro layer to provide capacity (in areas with high traffic demand) and/or coverage (where the macro signal doesn’t go). That’s why operators look to Small Cells to fulfill different market demands for Smart Cities, in-building and DAS, private/enterprise networks over (CBRS) shared spectrum or even to provide mmWave coverage for 5G. Shared spectrum licenses bring about a great change to the IBS landscape as these -relatively inexpensive- licenses open the door to many non-traditional players to build their own wireless networks seeking to provide differentiating services to their customers independently from the typical operators. This trend is leading to a spacious eco-system comprising industrial IoT service providers and enterprise IT professionals as well as neutral hosts and -still- the traditional mobile operators themselves. CBRS is one of the forms that express the global paradigm movement to free chunks of spectrum around 3.5 GHz for unlicensed or “lightly licensed” use. Although it is mainly deployed using Small Cells, CBRS may also play a role in redefining how a Distributed Antenna System (DAS) is constructed and who owns it. The RF characteristics of the 3.5 GHz band make it ideal for indoor and small-cell applications whether in terms of less total noise in the band (compared to totally unlicensed bands) or confined propagation characteristics that enable dense indoor / small-cell installations with minimal interference. Such propagation characteristics also make it a prime candidate for sub-6 GHz 5G installations worldwide. Commissioning prominently is the most critical phase in DAS deployment as for a system to be optimized, it must be validated for ultimate RF transport and performance via the commissioning process. A DAS to be properly commissioned, its infrastructure must be functional and trouble-free. All infrastructure issues should be demarcated and resolved at this phase. Efficient troubleshooting means being able to solve the problem quickly, correctly and from the first time. And that starts with better diagnosis. Using the right diagnosing tools and the right accessories will make your troubleshooting efforts faster and easier, resulting in faster delivery, reliable deliverables, and happier customers. DAS sweep testing is key during both commissioning and troubleshooting to verify and characterize cables, antennas, and other passive components. 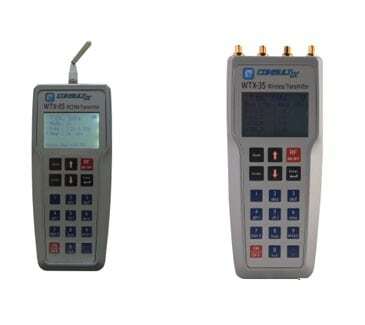 Field-ready cable and antenna analyzers used to range from truly handheld single-function instruments too bulky equipment with comparable capabilities to their benchtop counterparts. Advances in miniaturization enabled that today’s field testing equipment optimize the trade-offs among portability, performance, speed, and field-convenience. Radio propagation modeling is the basis of cell planning. And the knowledge of the propagation characteristics is key to achieve higher quality standards, lower overall running cost, decrease transmitted power, enhanced coverage per every operational environment. Hence, Inaccuracies in propagation models compromise network planning and optimization activities and result in money and time costs. By using tuned/calibrated models as the basis for developing new site plans or optimizing an existing cluster of sites, radio planning engineer will be in a better position to set site parameters that accurately model the real world once implemented. Spectrum is the most valuable asset for wireless operators due to its role as the base for service coverage and capacity. Its full utilization is crucial for network performance particularly when data speeds have become the key driver for operators’ network strategies. Whether its internal or external interferer, it results in deteriorating the useful signal or fully disrupting the service. Portable interference hunting tools have been always a wish to enable field crews to detect, locate and analyze the interferer type, behavior, and source location. While conventional RF spectrum analyzers used to be known for its performance, however, most of such devices are not that friendly for field use.